Recent posts here and there remind me how many of us collect whatever: vintage film posters, good-luck Japanese cats, bakelite, old tools. I've had my collector moments. Around age 25, I indulged in a raccoon fetish, and received many items emblazoned with the little bandits, from silver stickpin to tote bag. In my 30s, I began to acquire Clarice Cliff ceramics. One night a raucous party decimated my collection and I could never afford to restore it. 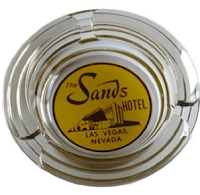 There is the completist's challenge, a stereotypically male preoccupation, though I know a woman who hunts objects from The Sands, a defunct Las Vegas casino. There's also the pleasure of abundance: a different vintage hankie for every day, a banquet's bounty of place settings assembled from '20s plates. A second reason is the building of value. A friend of my parents' funded his retirement via his rare book collection. If you are an astute collector of stamps, coins, fine pens, art or other objets, you can make money, though some collectors become welded to their prize, and what was begun as an investment becomes part of an identity. For those with less lofty ambition, collecting becomes an excuse for consuming. Many women in their fifties and above suddenly look at their three dozen Krazy Kat clocks or a sagging cupboard stuffed with majolica and think, This was fun, but no longer. 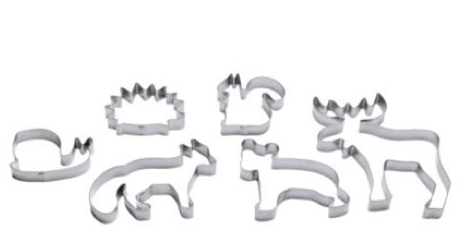 When you're in the collectionneuse mindset, you must have every shape of cookie cutter made (that's one of mine; I just remembered); therefore, any purchase is automatically valid. Just look on eBay and see how often something is touted using the words "rare" or "collectible". Cookie cutters don't break the bank, but my friend Lois collected costume jewelery that typically cost $400-$1200 per item. One day she realized she had $25,000 worth of heavy pieces she never wore. Lois sold nearly everything to a dealer. Content with the proceeds, she says she's even happier to have four free dresser drawers. Haydée Politoff in "La collectionneuse"
The title of this post comes from the arch 1967 Eric Rohmer film, La collectionneuse, in which a fey young woman collects lovers without any particular regard for value, but considerable attention to her pleasure. The fourth film in Rohmer's series of "Six Moral Tales", it profiles the amoral collector and her prey, as she pursues her full set in the Riviera sunshine. Another terrific film, Utz (1992), adapted from a Bruce Chatwin story, has been called "the greatest film about collecting ever made". If you haven't seen it, you must... and I will only say that the film illustrates how, when serious collecting tips into obsession, it engenders greed, deception and blindness to any other pursuit. Do you collect anything? What does your collection do for you? Have you stopped collecting something? I collect books by Francis Parkinson Keyes. The best was a book I received used from the Internet and when I read it stamps started falling from the pages, the entire book had stamps randomly placed. I have not been able to find any information on the stamps as yet. I have had a few collections in my day. When I was very young, I collected Green Doric Depression Glass. I sold it all when we moved to Dallas in 1986. I also had a collection (kept on open kitchen shelves) in the late 1970s of decorative tin boxes, some antique, some vintage, others new, but charming. I let go of that collection also. My only collection now is antique and vintage wireware. I like how it looks in our farm house, it is functional, and it is seldom that I find a piece that I really want. Like most people in their 60s, I'm all about paring down now. I spent hours paring down my closet yesterday and will work on it for more hours today. I do not ever plan to start another collection. I am not a true collector, I think. IOW, I'll gather, over time, a few pieces of whatever it is at the moment, e.g. faience from Portugal, Piranese prints, lapis jewelry, and then I have enough. Well, that was then. Now I'm not really acquiring much of anything, except for what is needed for our new addition (tiny, actually, but much needed). And I'm currently reading "The Orchid Thief", which I seem to have missed in years past. Talk about collecting! I seem to have collected many scarves since my teens. Rather than buying souvenirs when I travel I inevitably will come home with a scarf (or two). And though they were not expensive ones, each time I wear them (and I wear one virtually every day), I am reminded of the place I found them. Good for a smile. fmcg: (May I call you that? ): I did not know her background, have just read it- fascinating. Quite a few to cllect. unefemme: Yes, I've seen your rooster kitchen! Like you, I have a scarf collection but nearly all received as gifts. Susan: I wish you couyld share with us what went and what stayed in that closet pare-down. I'm still drawn to tin boxes, too- but no where to put them. Swissy: Great examples of the 'phase-type' collector. "The Orchid Thief" is a good read. Even a small addition can make such a difference. Mary: Scarves are a satisfying collection because easy to accommodate, relatively low cost (or can be) and evocative. What I especially appreciate is that you wear them, they don't sit in your drawer. I like matte white pottery and vintage ironstone. But with a small home I must be very smitten with a piece before buying one. Pearls on the other hand seem to fit nicely into my jewel box! What a timely post! I'm 54 years old and have arrived at the "that was then, this is *now*" phase of my life. Now, being a time to divest myself of items previously collected from which I no longer derive pleasure nor have the "real estate" to devote to them. I love the space, the simplicity. It's almost cathartic to rid myself of what feels like excess baggage. Collections ranged from ceramics to dishes, etc. Books, definitely. Being surrounded by books calms me, and reading is my hobby of choice. Otherwise, the only two things I "collect" would be scarves (to complement the uniform of plain pants/black shirt/boots) and dishes and serving-ware: I have a weakness for pretty porcelain, as long as it is useful (in that I adore plates and platters, and loathe figurines). I do host regular dinner parties, and I use my grandmother's gold-plated wedding china and silver on a regular basis, so as long as they're being useful, I don't think too much of it! Books. Antique china and linens. However, two things have put a serious dent in any collecting urge I used to have: downsizing when we moved from a large old VT house to a small Montreal condo, and looking at my father's house and thinking, what the hell am I going to do with all these collections? Many are antique and lovely, but...I like Une femme's suggestion of air miles. hostess: I avoid the label 'collector' as it leads me into too easily justifying a purchase- in other wpords, buying someting just b/c it fits in a category or I don't already have it. •Even• with pearls, now have to see myself wearing a piece most days before I buy. Anon@10:40: I had an epiphany once standing in a very quiet vintage jewelry store in NYC. Realized that at one time someone had wanted these things, and now they were for sale- there seemed to be neither heirs nor buyers. Ros: Book lovers do tend to hang on to theirs. I have great affectione for books and love to live with them (in floor to ceiling bookshelves, not in piles). But at one point, enough! Pretty porcelain (or pottery) still attracts me but I gave most of it away in the move. Beth: Even collectors of air miles purge every now and then- the points expire! Maybe our collections do too, psychically. Lynn: Oooh, folk art- easy to imagine barnsful. Heirs of collectors do face challenges. Tiffany: Not sure shelves of books are a collection, the way collecting by author, theme or genre is. And three bags are (in case this relieves you) not a collection, just...three bags- but certainly not any three. I think of my poor mother, who in her early 20s saved for a Hummel figurine she loved. Her tastes developed beyond it, but before she could make that clear to the rest of the world, she was receiving Hummel figurines for birthday, Mother's Day, and Christmas. . . Each of my siblings took one home and some of us took more than one, to pass on to our kids and their kids. . . As Sue says, going through an elderly parent's condo after death is a very good check on the accumulation instinct! I'm trying not to collect. The two key things were having to sort out my Mum's house after she died and emigrating having to get a three bedroom house down to a suitcase. I went through a phase of Royal Albert 'American Beauty' china after being given a bit of it, but it generally sat in a cabinet, being used a few times a year. I sold the least used pieces and have kept the core. We tried to get rid of as many books as possible when we emigrated - managed to get rid of two and keep about eight. I have accumulated as few as possible in the 18 months over here. A Kobo e-reader helps.